Marketing your business can consume, frustrate or thrill you. 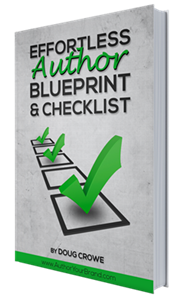 As a publisher, the most common concern I hear is, “There are 1001 ways to market my book! I barely have time to run and grow my business, let alone market a book!” Which is why I prefer “Hack Marketing” where we distill the top 20% of strategies and tactics that deliver 80% of the results…in 30 minute bursts. To help you with YOUR book, I’m hosting a FREE “How to set up your blog” webinar every Saturday (Beginning Saturday, Dec. 7th) at 2 PM PST. It is a LIVE webinar series that cuts through the fluff and gives authors and marketers the basics of blogging, positioning and syndication. The series is scheduled for every Saturday at 2 PM PST (check for schedule changes) and each episode is only 30-minutes long. All are welcome and we always keep the lines open for Q&A after the 30-minute webinar/tutorial has concluded. Registration is optional, but encouraged. Saturday, Jan. 18th 2 PM: Google Crack: How to syndicated a webinar & SEO’s you to #1 of Google. The episodes are all 100% live and are archived for review. These are NOT 1 to 2 hour webinars where we discuss the weather or waste your time with the “how is everyone doing” banter. The episodes are extremely fast paced! We address all questions after the 30 minutes are up and will post the archived classes on our websites. Be sure to double check the course curriculum and schedule periodically at http://www.authoryourbrand.com/authors-classroom for updates.